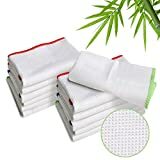 How many paper towel sheets do you tear off every single day and then toss? It's most likely a staggering amount. 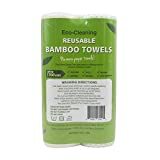 These cool new Bamboo Towels from Kitchen+Home will not only save you precious space and money, they'll also help save the trees. 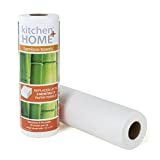 These alternative paper towel rolls feature heavy duty perforated tear-off sheets made from washable and reusable organic bamboo that are lint free, highly absorbent, and sustainable. After wiping up a spill, cleaning the countertop, or doing almost anything a normal paper sheet can do, just hand or machine wash the sheets and let them air dry. 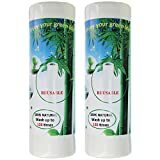 Each sheet can be reused up to 120+ times before it needs to be thrown out and that means one single eco-friendly roll of bamboo towels can replace up to 6 months of expensive paper towels. 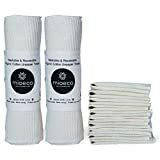 Each roll fits on a normal paper towel dispenser and includes 20 11" x 12" perforated sheets. Cool huh?